A new lawsuit accuses the Canada Food Inspection Agency of breaking its own rules when it comes to transporting horses to be killed for food -- namely, cramming too many large horses into crates. 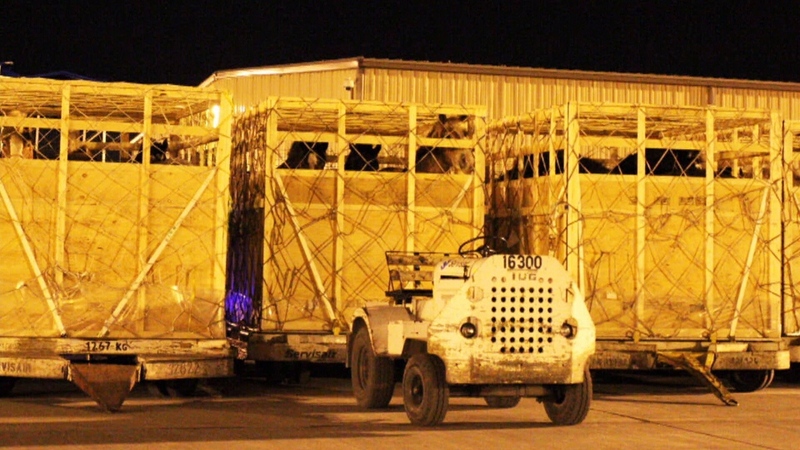 Live horses are flown overseas from Winnipeg, Calgary and Edmonton to countries overseas, where they’re then slaughtered for food and eaten as a delicacy -- a practice the United States banned in 2007. An animal rights group alleges that large horses are crammed into overcrowded crates during shipping which violates the agency’s own rules. They allege video shows some horses so cramped that their heads knock into each other and say that some are even dying en route. 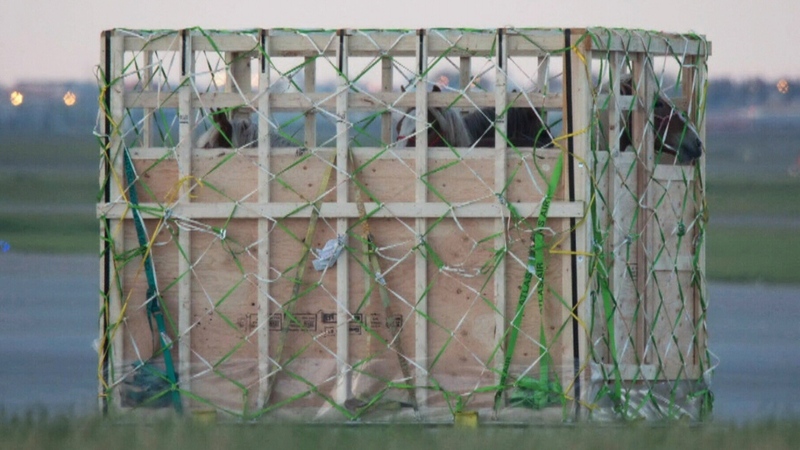 Under CFIA regulations, horses larger than 1.4 metres long are supposed to be shipped in their own crate. The lawsuit was launched to force the agency to simply follow its own rules, activists say. “All we're asking the court is to tell the CFIA, ‘Listen, you've got clear legislation do your job, follow the regulations and essentially do what you are supposed to do,’” says Rebeka Breder, a Vancouver animal rights lawyer. 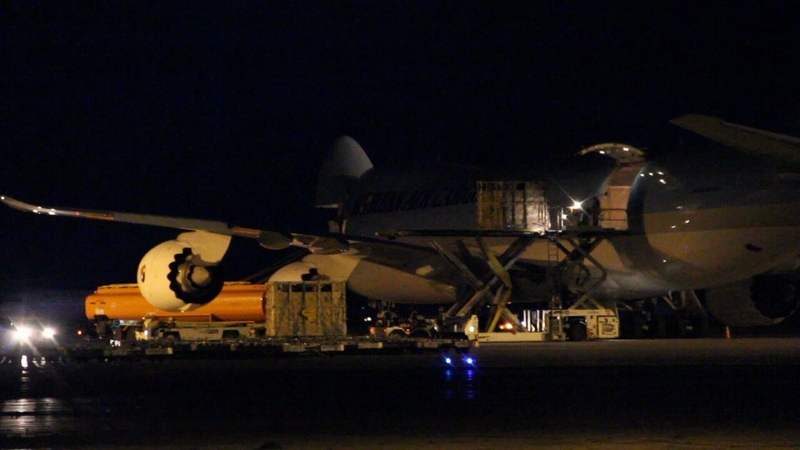 The CFIA acknowledged it’s not following its own size requirement for transporting horses by air. 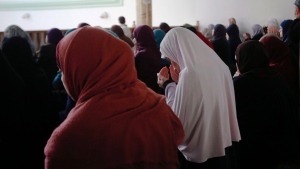 In a statement, the agency said it was going off an interim policy which is based on the compatibility of animals rather than the arbitrary 1.4-metre requirement. But they added that it’s working to “modernize” its regulations. But the proposed amendments aren’t law yet. One activist and retired CFIA veterinarian says that, until that happens, the horses are being subjected to undue stress. Unlike Canada, the U.S. froze funding for the horse slaughter in 2007 and stopped shipping horses overseas to be killed for human consumption. Last year, Canada sent more than 4,800 horses for slaughter -- which was fewer than the year before. Horse meat exports were also down 41 per cent from last year. The number of live animal exports has also been decreasing over the past two years. In 2016, Canada shipped 5,839 live animals while only shipping 4,846 the following year. Canadian meat exports overall has also been dropping. In 2017, Canada exported 6,104 metric tonnes of meat which is a far cry of the 10,347 metric tonnes, the year before. Animal rights activists call for an all-out ban on the horse meat trade but some tell CTV Winnipeg that if the lawsuit is successful, at least the animals will be treated humanely up until death. The federal government has yet to respond to the claim.